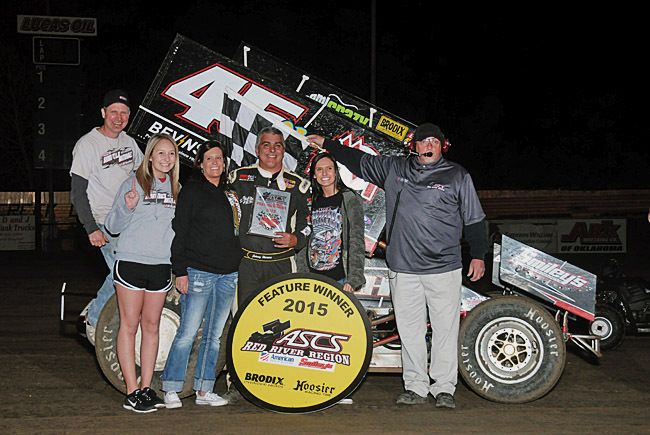 Lonnie Wheatley, SAPULPA, Okla. (April 10, 2015) – Johnny Herrera outlasted Seth Bergman to pick off his first feature win of the year in Friday night’s 25-lap ASCS Red River Region main event atop the cozy confines of the ¼-mile Creek County Speedway. Herrera battled past Bergman for the point on the fourth round then held off the Washington state native in traffic over the final rounds to secure the win in the Herrera Racing Mesilla Valley Transport No. 45x. After a strong mid-race challenge, Bergman’s bid to steal the win slipped away along with his brakes in the final handful of rounds with traffic a factor as the final 21 circuits ran off in non-stop fashion after a choppy start to the feature event. Brandon Hanks filled out the podium in third with Kevin Ramey and pole starter Kade Morton rounding out the top five. Heat Winners (starting position in parentheses): Kevin Ramey (2), Andy Shouse (2), Brandon Hanks (2). Heat Moments: Harli White flipped in turn four just two laps into the night’s first heat and was done for the night, while Jake Martens came to a stop in turn one with a broken front end after contact with Herrera in the third heat. “B” Main Winners (starting position in parentheses): Shawn Petersen (2). “B” Main Moments: Brandon James got upside down in turn one after contact with Martens. “A” Main Cautions: Two cautions and one red. 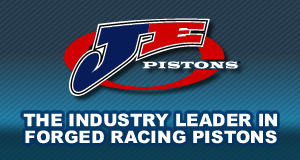 Lap 1 – The caution flew after one lap when Joe Wood, Jr., stopped on the track with a flat left rear. 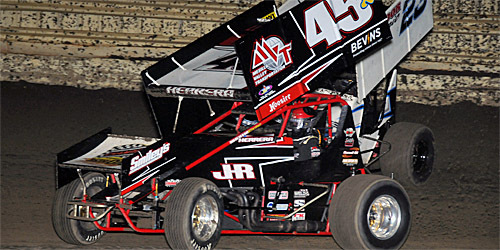 Wood, Jr., pushed back on the track but was deemed too late, so he was done for the night. Lap 1 – On the restart, Alex Sewell came to a stop in turn two. The yellow lights were left on inadvertently on the restart to precipitate another caution. Lap 4 – Fred Mattox gets upside down in turn two to bring out the red flag, climbing Kyle Bellm’s right rear after the 4x got crossed up. After an open red, Bellm returned with fresh right rear rubber while Mattox was done. “A” Main Hard Charger: Passing was at a premium on the heavy surface with Blake Hahn’s five-position climb from 12th to seventh the best of the night. 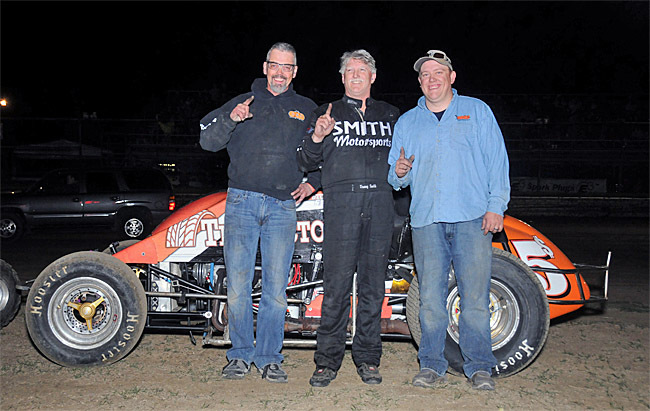 Best Supporting Role: Oklahoma’s Danny Smith denied Alex Decamp victory honors in the 25-lap Non-Wing Champ Sprint Car feature by racing into the lead with the white flag in sight and holding on to post the win with Brian McClelland in third. Heat One (8 Laps): 1. 1a-Kevin Ramey, 2. 11-Joe Wood, Jr., 3. 29-Matt Ward, 4. 14k-Kyle Bellm, 5. 18-Tony Bruce, Jr., 6. 32b-Taylor Tidmore, 7. 50-Brandon James, 8. 17w-Harli White. Heat Two (8 Laps): 1. 27-Andy Shouse, 2. 23-Seth Bergman, 3. 95-Matt Covingon, 4. 40-Howard Moore, 5. 26m-Fred Mattox, 6. 4x-Shawn Petersen, 7. 7m-Chance Morton, 8. 05m-Charles McManus, Jr.
Heat Three (8 Laps): 1. 3h-Brandon Hanks, 2. 8m-Kade Morton, 3. 2-Mickey Walker, 4. 45x-Johnny Herrera, 5. 8-Alex Sewell, 6. 52-Blake Hahn, 7. 9$-Kyle Clark, 8. 48-Jake Martens. 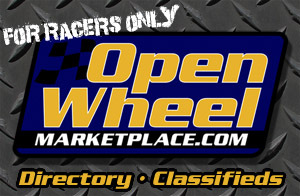 “B” Main (12 Laps – Top 6 advance to “A” Main): 1. 4x-Shawn Petersen, 2. 8-Alex Sewell, 3. 32b-Taylor Tidmore, 4. 26m-Fred Mattox, 5. 7m-Chance Morton, 6. 9$-Kyle Clark, 7. 48-Jake Martens, 8. 05m-Charles McManus, 9. 50-Brandon James, 10. 17w-Harli White (DNS). Lap leaders: Seth Bergman 1-3, Johnny Herrera 4-25.